With easy accessiblility to the fiber and simple installation, FTTH cable can be directly connected to the homes. It is suitable for connecting with communication equipment, and used as access building cable in premises distribution system. The optical fibers are positioned in the center of cable and two parallel strength members are placed at the two sides. The metal messenger wire is on the top of cable for aerial installation and outside of all is covered with the black LSZH sheath. Also, customers can specify your required connectors. 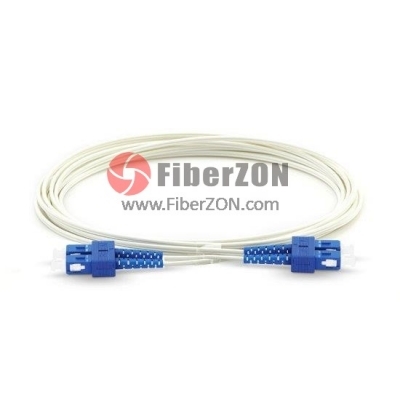 Indoor FTTH drop cable is used to connect to the end users' homes, widely applied in access networks and FTTH indoor cabling. 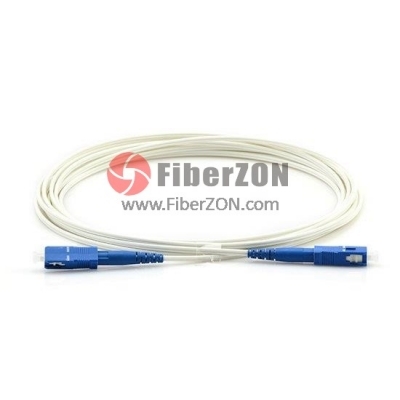 This easy to take and well-protected fiber optical cable package has been labelled and marked by FiberZON.COM as default.